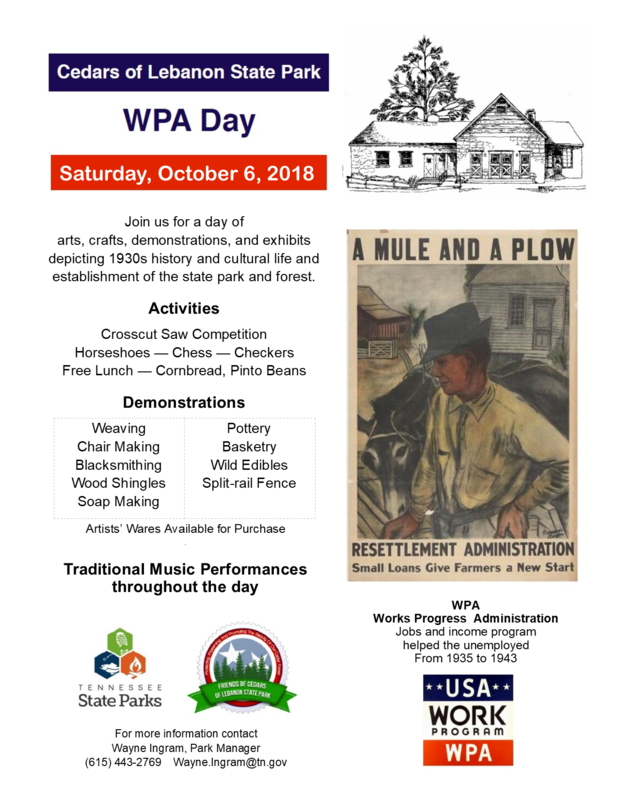 WPA Day begins at 9:00 AM on Saturday, 6 October 2018 and you will love the artists, craftsmen and musicians lined up for the event. You will also love the cornbread and pinto beans served up courtesy of the Friends of Cedars of Lebanon State Park. Learn to pitch horseshoes from 9 Time World Champion Joan Elmore. Watch Snoopy the sorghum-making mule do his thing. Then grab a partner and enter the cross-cut log sawing contest. If log sawing is not your thing, how about a game of checkers? Or chess? Be sure to check out the basket maker, the weaver, the quilter or the potter, each demonstrating their craft. Also see a lumberjack harrow, and watch skilled craftsmen make oak shingles the way they used to. They’re handy with an axe, a froe and a mallet! There will be some masterful musicians on hand all day including the Old Brakeman Roy Harper and Michael DeFosche among others. Don’t miss the collection of old tools on display or the photographs from the 1920s and 1930s. 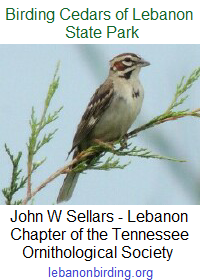 This entry was posted in Announcement, Public Event and tagged Cedars of Lebanon State Park, FoCoLSP, friends of cedars of lebanon, Lebanon TN, Tennessee State Parks, wilson county, WPA Day. Bookmark the permalink.